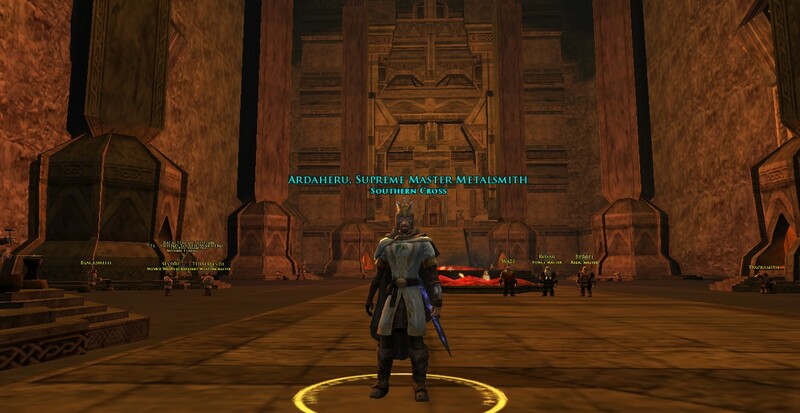 My captain Ardaheru was my fifth level 65. 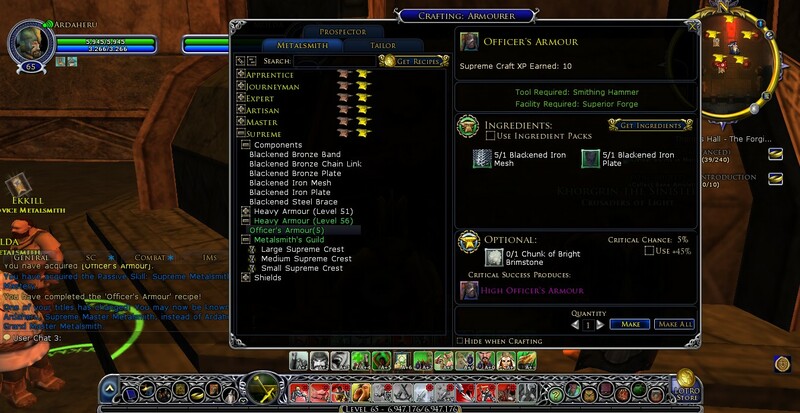 He was also my 8th character, created after the LOTRO Store came out and character slots were available for purchase. He quickly became one of my favorite classes and characters, partly because of his playstyle and group dynamics, and partly because of the idea I had in my head of a captain from A Casual Stroll to Mordor’s Captain Roundtable. Since he was my 8th character, and I have been obsessed with crafting since the beginning of my journey in Middle-Earth, Ardaheru became an Explorer, with no primary craft, as I had a guild kindred crafter in every craft already. As Ardaheru climbed the levels, he eventually gained supreme level prospecting and forestry, funneling plenty of materials to my other crafters. Since the Isengard expansion will be including a 7th tier of crafting, I have decided to rob Galnarion, my level 22 guardian, of the privilege of being my primary metalsmith. 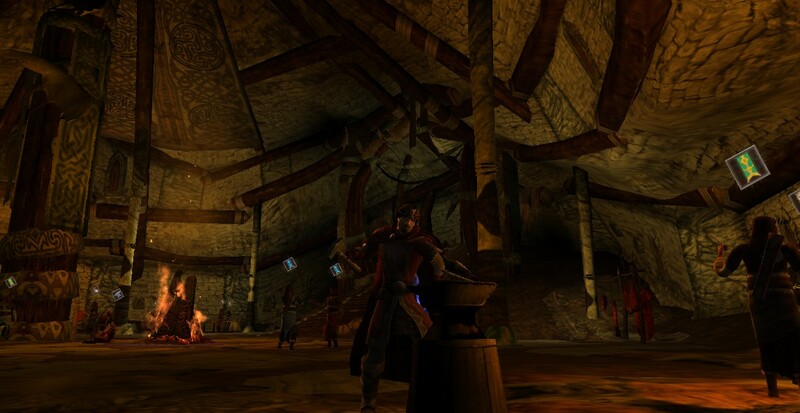 Ardaheru will therefore be able to access all of the recipes in Lothlórien, Mirkwood, and potentially, in Dunland in the expansion. This will make for an interesting shift in my thinking, as it will take about 2 weeks for the reputation with the crafting guild to be built up. Also, in my typical crafting approach, I have always gotten guild kindred before getting Supreme Mastery, simply because the best way to level a crafting tier, if you have the time, is to only craft the guild barter items. In this method, I am literally going to try to get Ardaheru to Supreme Master Metalsmith in one day. We’ll see what happens. For this endeavor, I will be using two websites to aid me. The best way to level a tier, if you are not using the guild barter items, is to produce an item that uses a Component. It is best to produce the item that sells for the most, simply for getting back some of the money you will spend in materials. For example, when I do Apprentice Metalsmith (tier 1), I will look at my initial crafting panel and the recipes. The best recipe is Bronze Armour for 6 xp, which requires you to craft the Component Bronze Chain Link for 4 xp, which nets you a total 10 xp for only 2 Bronze Ingots. This is the maximum return for the least amount of materials. I will now lay out the plan I used to craft my way to Supreme Mastery and about how much it cost (minus repairs to tools). Each cost is only taking into account the cost of supplies in making the item. Luckily, I had a ton of mats in my bank for my weaponsmith and my previous metalsmith, plus my captain had recently leveled to 65 as an explorer, so he also had a lot of mats already. Despite this, however, I spent about 14 gold on materials from the AH. This endeavor also cost me time. In addition to the time spent crafting, I also spent about 3 hours running around in circles both in the Misty Mountains and Eregion for Dwarf-iron and Ancient Iron, respectively. I had to collect about 190 Chunks of Dwarf-iron Ore and exactly 272 Chunks of Ancient Iron Ore. That was brutal. Still fun, because I am goal-oriented, but if I could have purchased it on the AH, I would have. So all total, I started the morning of June 12 and ended the morning of June 13. Supreme metalsmith in one day! I will wear the title proudly! I gotta do this on my warden. He’s finished T3 metalsmithing but I have to get him supremed up and guilded before ROI. That’ll give me a guilded weaponsmith and armourer.